Philip Aldrick: Was Montagu Norman a Nazi sympathiser? 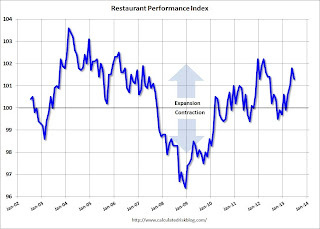 As a result of positive sales and traffic and an optimistic outlook among restaurant operators, the National Restaurant Association’s Restaurant Performance Index (RPI) remained in expansion territory in June. 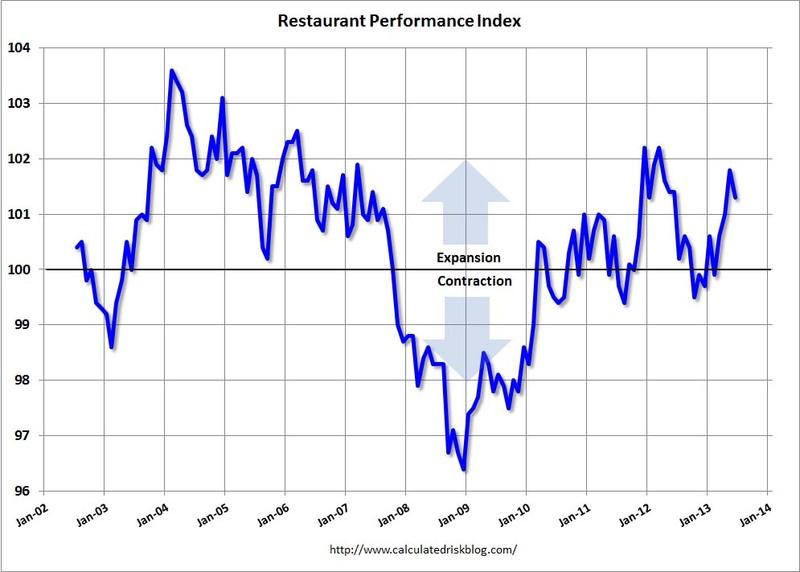 The RPI – a monthly composite index that tracks the health of and outlook for the U.S. restaurant industry – stood at 101.3 in June, down 0.5 percent from May’s level of 101.8. Despite the decline, June represented the fourth consecutive month that the RPI exceeded the 100 level, which signifies expansion in the index of key industry indicators. The index decreased to 101.3 in June from 101.8 in May. (above 100 indicates expansion). • At 8:30 AM ET, the initial weekly unemployment claims report will be released. The consensus is for an increase to 345 thousand from 343 thousand last week. • All day: Light vehicle sales for July. The consensus is for light vehicle sales to decrease to 15.8 million SAAR in July (Seasonally Adjusted Annual Rate) from 15.9 million SAAR in June. • At 9:00 AM, The Markit US PMI Manufacturing Index for July. The consensus is for the index to increase to 53.1 from 51.9 in June. • At 10:00 AM, the ISM Manufacturing Index for July. The consensus is for an increase to 53.1 from 50.9 in June. Based on the regional surveys, an increase in July seems likely. The ISM manufacturing index indicated expansion in June at 50.9%. The employment index was at 48.7%, and the new orders index was at 51.9%. • Also at 10:00 AM, Construction Spending for June. The consensus is for a 0.4% increase in construction spending. Brad DeLong (@delong) will join Michael Boskin in a NABE AM session on "Balancing Austerity & Growth: Perspectives on US Economic Policy." There are often-overlooked reasons for optimism about America’s future potential growth… shale energy, big-data analytics, exports in knowledge-intensive industries, infrastructure investment, and talent development. Two of these--shale energy and big-data analytics--build on ongoing technological breakthroughs in which the US has a strong lead and depend primarily on private-sector action, not macroeconomic or structural policies…. McKinsey estimates that growth in shale energy could add 2-4% to annual GDP and create up to 1.7 million jobs by 2020. But extracting shale energy involves environmental risks and uncertainties, among them groundwater contamination, higher methane emissions, and potential seismic effects. And shale gas emits CO2… even though it has half the carbon content of coal…. Big data and advanced analytics are another technology-driven game changer for US growth. As more data are generated, stored, and transmitted in digital form, new data sets relevant to personal and business decisions are growing exponentially… can be quickly analyzed and used by businesses to reduce costs, boost productivity, and create new products and services…. create value for consumers through greater product variety and quality, as well as enhanced convenience…. McKinsey estimates that big-data analytics could add about $325 billion, or 1.7% to annual GDP in the retail and manufacturing sectors, while generating up to $285 billion in productivity gains and cost savings in health care and government by 2020…. New information and communications technologies were game changers that boosted the potential growth rate of the US economy in the 1990’s… shale energy and big-data technologies will be game changers with similar benefits for the economy’s potential growth over the next several years.